We are committed to thoughtful worship that generally follows the seasons of the Christian year. Two worship services are offered each Sunday, and while the styles of each are different, the elements of worship (music, readings, children’s time, sermon, etc.) are crafted around the Scriptures and themes of the day. For questions about our worship services, please email the church office. Located in the Fellowship Hall, this service is more informal in style. Music is led by our praise ensemble (guitar, drums, etc. ), and multimedia resources such as videos and pictures are used as part of the service. Located in the Sanctuary, this service is more “traditional” in style. Hymns are accompanied by the organ, and our sanctuary choir sings on a regular basis. 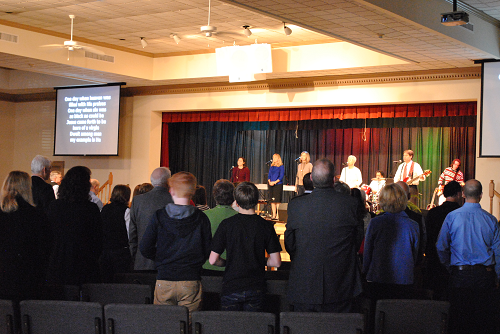 Several Sundays a year, we have one combined morning service. Be sure to check our calendar for changes to the regular schedule. 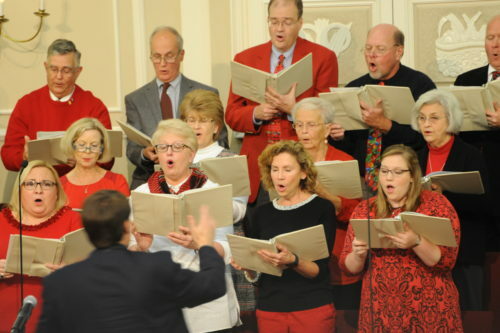 FBC follows the church calendar and participates in liturgical seasons such as Lent and Advent. During those seasons we offer additional worship services, including Hanging of the Green, Christmas Memorial Service, Christmas Eve, Ash Wednesday, and participation in the community Holy Week services. Please see our calendar for dates and times of these services.